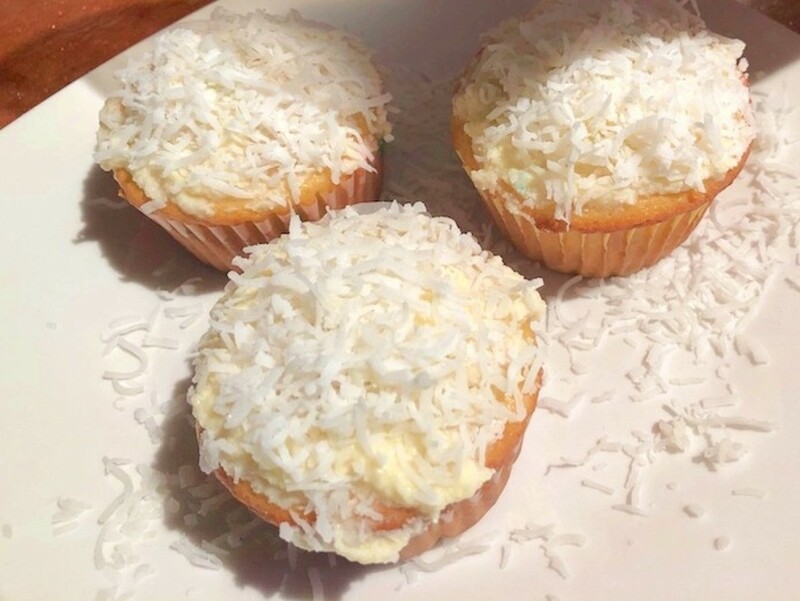 I love this frosting because the coconut flakes are added on top when served, keeping it crisp, flaky and fresh. The ganache in this recipe is delicate enough that it allows the coconut to shine. I made a small batch here for mini cupcakes using unsweetened coconut flakes. You can use sweetened if you like. This recipe multiplies well. Chop the white chocolate and set aside. 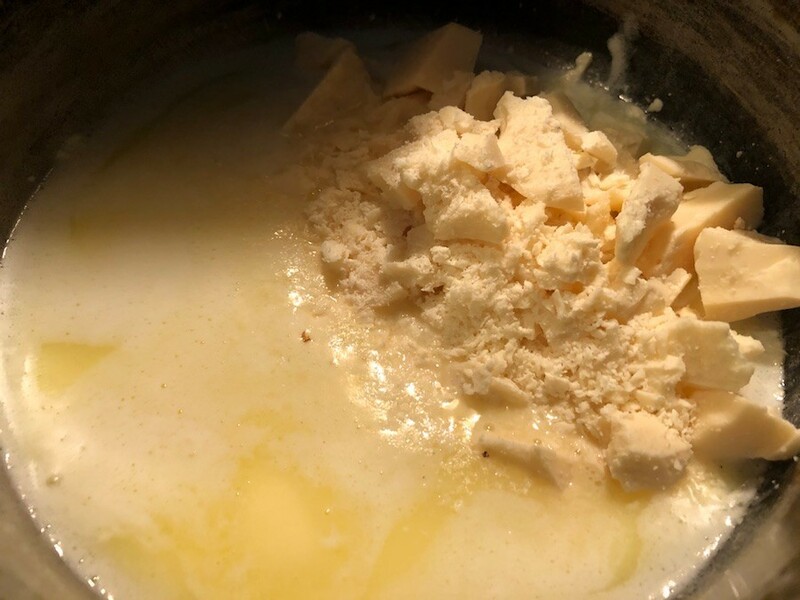 Put milk and butter into a saucepan over medium heat. 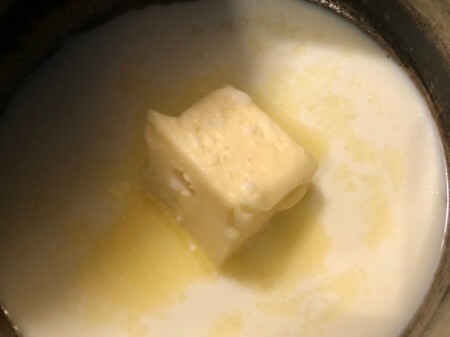 Allow to cook for a couple minutes, stirring occasionally, until butter has fully melted. 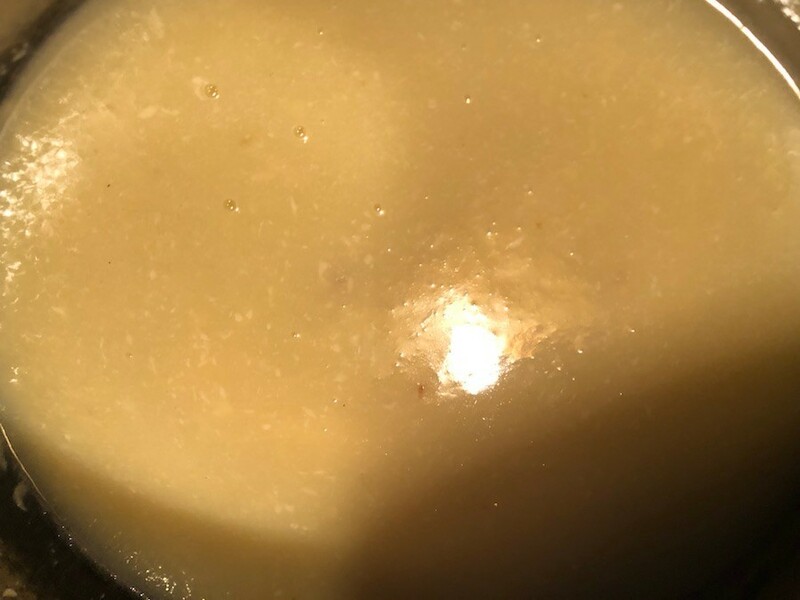 Increase heat to medium high and cook until you see little bubbles forming around the edge of the pan. 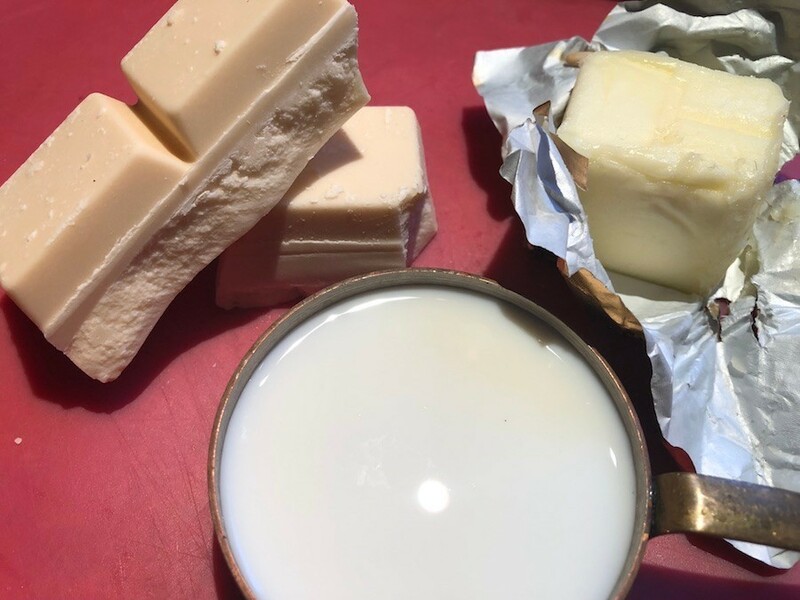 Remove milk and butter mixture from heat, then add the white chocolate and allow to sit and melt. 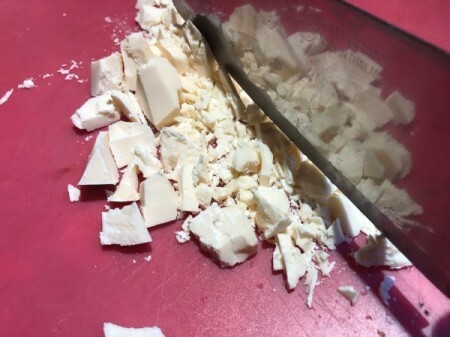 Stir mixture until the white chocolate has melted and the mixture is very smooth. 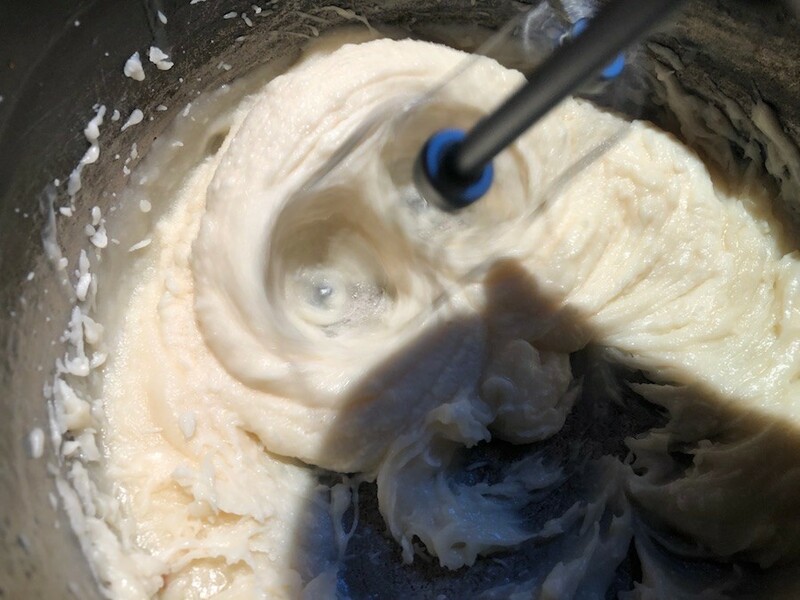 Use a whisk or electric mixture to beat the frosting for a couple minutes. 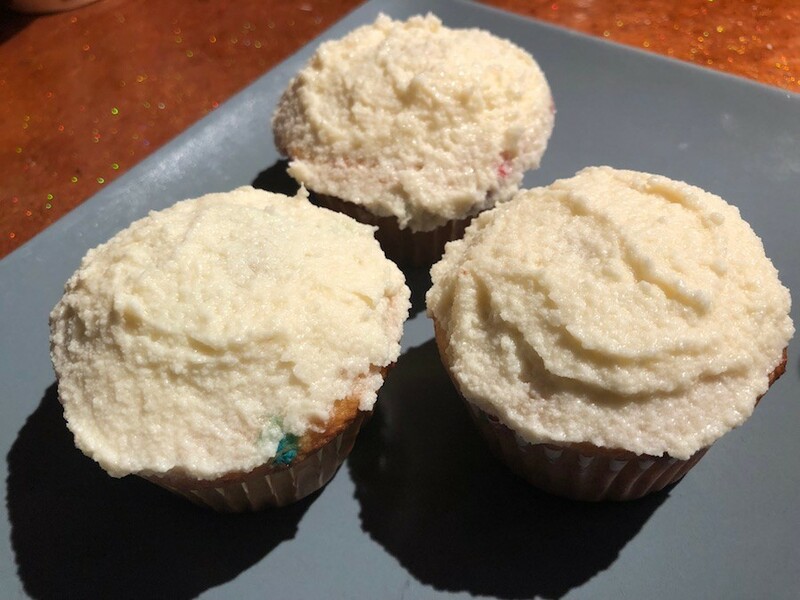 Place a thin amount of frosting onto tops of cake or cupcakes. 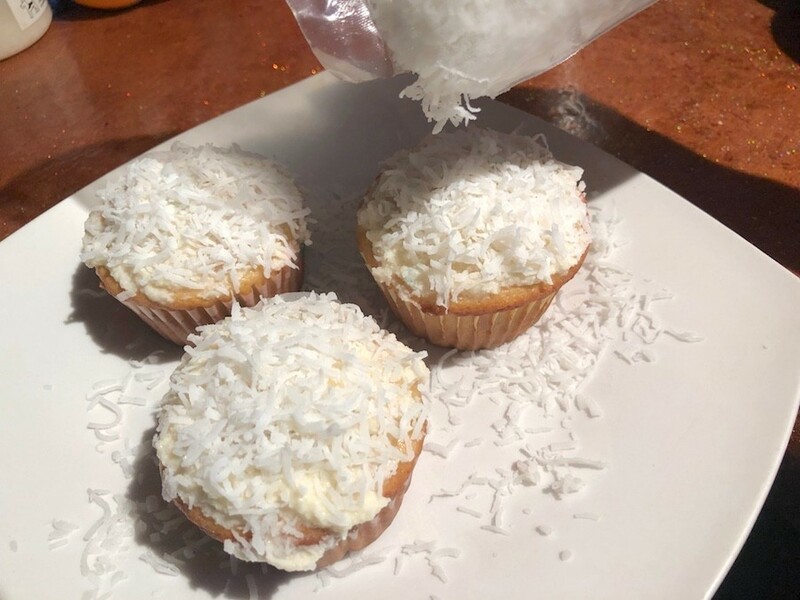 Sprinkle tops of frosting with coconut flakes. Serve. These keep well in a covered container in the fridge. They will remain crisp when served as leftovers!